Big news out of Buffalo last week, when they traded for Carolina’s #1 receiver Kelvin Benjamin for a 3rd and 7th round pick. Benjamin, who was a huge talent at Florida State, hasn’t really impressed since coming into the NFL. The Panthers were hoping to find their perennial #1 WR to pair up with Cam Newton but instead just found a big body with bad hands. 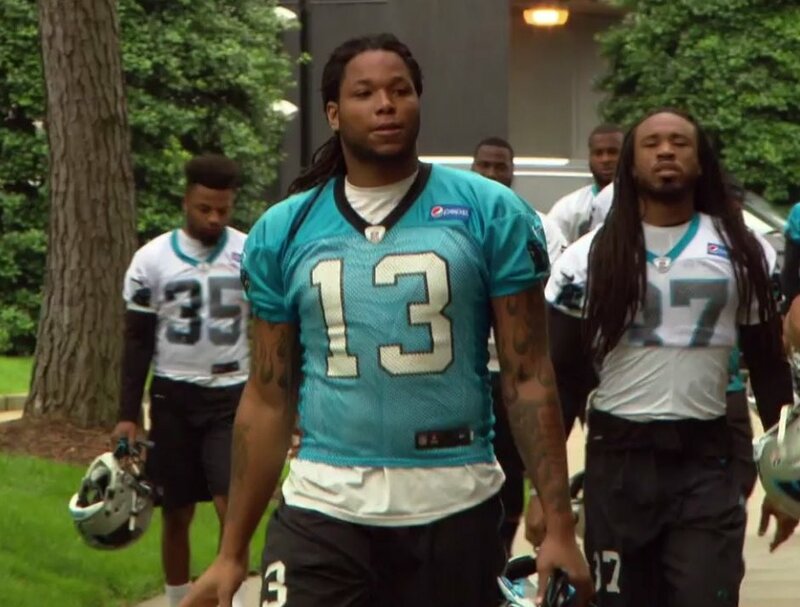 The biggest news that had revolved around Kelvin Benjamin was how fat he was when he showed up to training camp. He finished his last season as a Panther with 32 receptions for 475 yards and a pair of touchdowns. Not bad numbers definitely — but not what you want out of your #1 WR mid-season on a playoff contender. This move makes sense for the Bills but I’m still scratching my head on why the Panthers were so quick to give up on KB especially on a year that their main #1 target, Greg Olsen, is out with an injury. The Panthers seem to have enough trust in Funchess to wait out the storm until they get Olsen back. For the Bills, this makes all the sense in the world — a team that is desperately trying to break the NFL’s longest standing playoff drought who actually look decent this year. They sit in second place in the AFC East with a 5-3 record but are only being carried by Shady McCoy. Tyrod Taylor has no weapons outside of rookie Zay Jones (who’s hardly a weapon). KB gives the Bills that big body and a potential #1 that teams need to respect rather than just stacking the box against McCoy. Although the Bills aren’t going to win the AFC East (because — well let’s be honest they have no shot), the wildcard is certainly in reach. They still have four divisional games to go (2 against the Patriots & the Dolphins) and a date with the Chiefs & Saints give them a tough finish to the season. It’ll be interesting to see how KB can stretch out defenses and we’ll see if they can hold onto that second wildcard spot. Spoiler: They won’t — It’s Buffalo.